As you work towards completing the Kanto region Pokédex in Pokémon Let’s Go, Pikachu! and Pokémon Let’s Go, Eevee!, there are four pocket monsters that you will need to trade to reach their evolution. Those are Haunter, Kadabra, Machoke and Graveler, which you must first trade with another player before they will evolve into Gengar, Alakazam, Machamp and Golem to fill four entries in your Pokédex. That’s important for those wanting to earn themselves the Shiny Charm, and, for those wondering how to trade, after opening the in-game menu (X Button) select Communicate and then Play With Others. You will then be asked to whether you want to trade with a player that’s nearby (local wireless communication) or far away (online), and, once you have decided, you can open the Link Trade to enter the link code from Pokémon sprites that they will need to use. 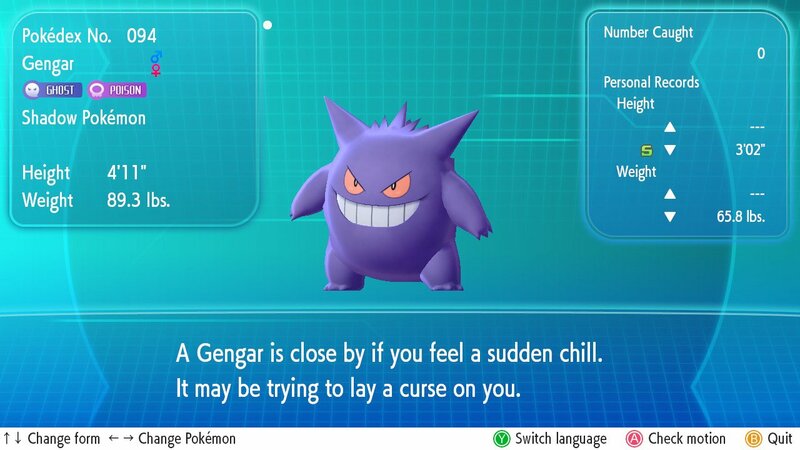 Once you have traded Haunter, Kadabra, Machoke and Graveler across, they will evolve into Gengar, Alakazam, Machamp and Golem once the other player has received them. After which, they can trade them back to you to help complete your Pokédex.